Belt drive is a clean, quiet, low maintenance method of driving the rear wheel, but it is restricted in the amount of power it can handle and is usually limited in the choice of final drive gear ratios. 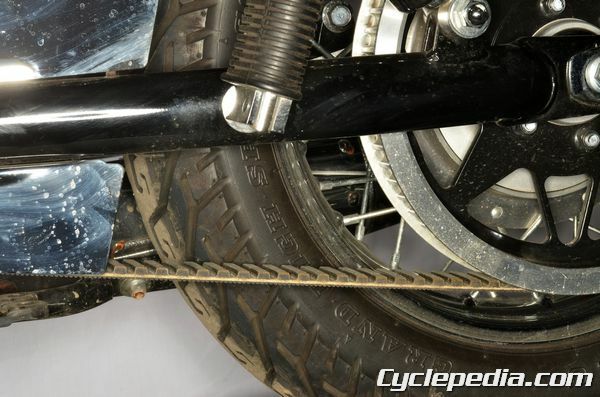 Belt final drive is used by most Harley-Davidson models and on a few Japanese cruiser style motorcycles. Periodic maintenance is limited to occasional adjustment and checking the belt for damage from road debris. 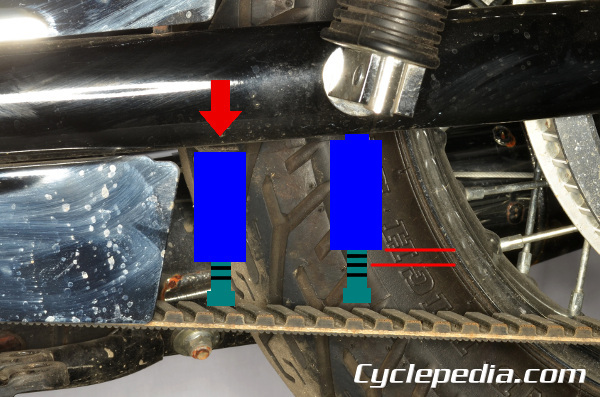 In fact, belt final drive is so reliable that some motorcycles using it have no provisions for adjusting the belt tension! And, of course, belts require no lubrication, making them almost as low maintenance as the shaft final drive, with much less expense and weight.